The Nuby Flip and Tip Hard Straw Cup was my daughters favorite from about 2 year old to 5 years old. This cup is a straw cup which is very easy to clean. It is leak proof with is perfect to go to daycare or preschool. 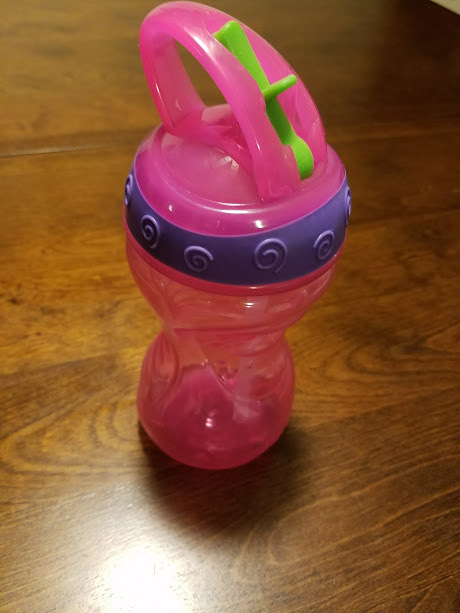 My daughter also liked bringing these to her dance classes and soccer games as they looked like a water bottle but still had the ease of a sippy cup.